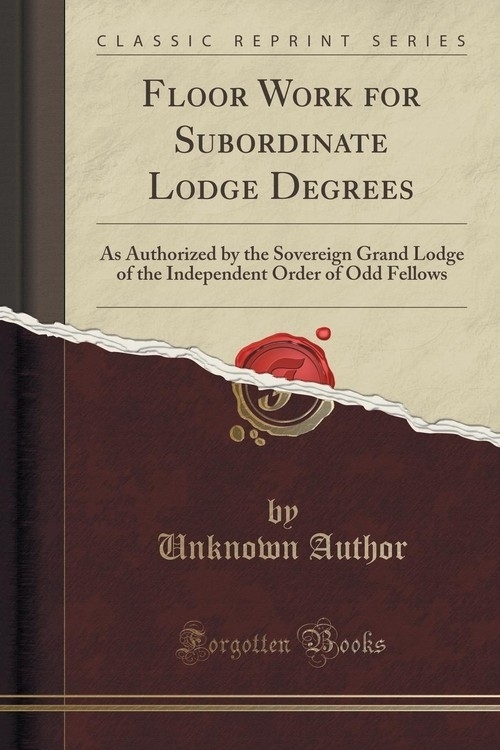 Floor Work for Subordinate Lodge Degrees: As Authorized By the Sovereign Grand Lodge of the Independent Order of Odd Fellows was written by an unknown author in 1895. This is a 44 page book, containing 5386 words and 4 pictures. Search Inside is enabled for this title.